Michigan's youngest make their voices heard, writing governor-elect Gretchen Whitmer about issues that matter to them. Although they can’t vote yet, K-12 students across the state are making their voices heard. Saginaw Valley State University’s “Write Your Future Michigan Governor” campaign resulted in over 1,500 letters. 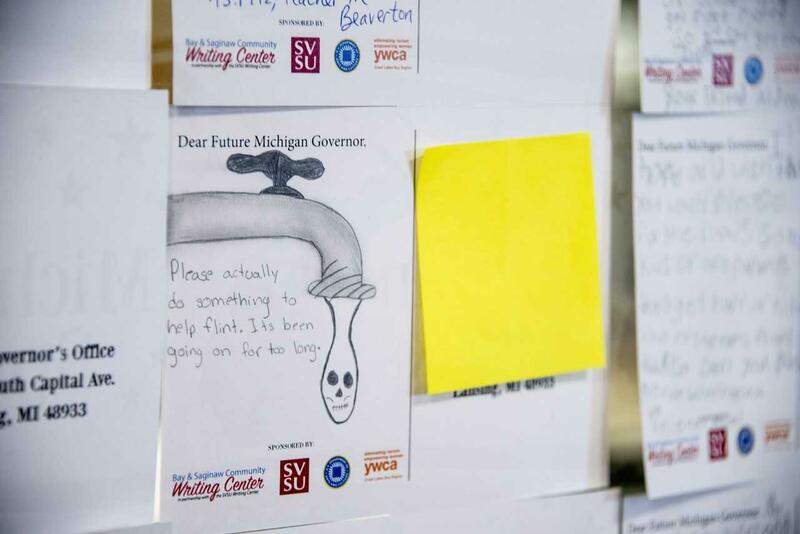 These messages expressed Michigan kids’ hopes, dreams, and fears for the state to governor-elect Gretchen Whitmer. Helen Raica-Klotz is the director of SVSU’s Writing Center. She said kids are more engaged than many realize. Raica-Klotz said students covered a diverse range of topics in their letters. Raica-Klotz said more children participated in the campaign than expected. She said the letter writing campaign wasn't originally intended to be just for children, but teachers across the state ran with the idea in their classrooms. Raica-Klotz said the letters, coming from 18 school districts, will be sent to Gretchen Whitmer following her inauguration in January.